My name is Kathrin I am 31 years old and am originally from Germany. I am a creative and outgoing person with a good sense of humor. 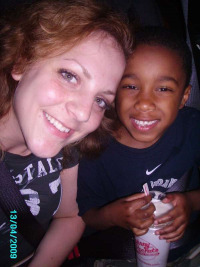 I have been a nanny for over 9years and have extensive experience with infants and toddlers. I cook, clean, arrange play dates and appointments, take kids to activities, play inside and outside, teach them their ABC’s and 123’s, change diapers, potty train, help with homework, run errands and a lot more.